Carefully caressing your back whilst whispering sweet nothings into your ear, PillowTalk join the Life And Death family with their modern dance soul hybrid, "The Come Back EP". 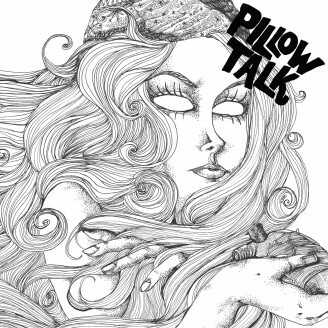 Despite the name, it's actually a debut EP -- and one that quickly establishes PillowTalk's unique sound as an important voice in the new generation of contemporary dance music. Already getting serious play (and props) from a wide range of DJs, from the deep & soulful Wolf + Lamb and Soul Clap crews all the way to the banging bass centric Justin Martin, "The Come Back" finds Life and Death once again crossing the conventional genre descriptions with a true dancefloor bomb that everyone can get behind.. Imagine Motown and classic doo-wop blended with a modern dance sensibility and you may start to get an idea of the PillowTalk sound. But it's better to stop imagining and just have a listen because what these guys are doing is so genuinely unique, it's not an easy one to pigeonhole with words and genre titles alone. The EP includes "The Come Back", "Soft" and "Long Lost Friends" as well as a Life and Death remix of "Soft". 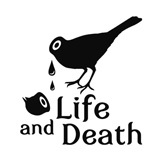 Put together in the Life and Death laboratories it brings a darker, deeper take on this beautiful and already incredibly sentimental dancefloor serenade.